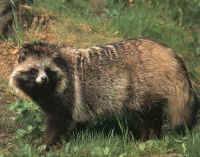 (Raccoon Dogs - Fur - 10) This raccoon dog still writhes in pain and struggles to get up. We tried to capture some of the movement in these stills so that our readers could get a better sense of the horror of this situation. In heaven there is no more pain of death, and in part of the Lord's Prayer we are taught to pray, "Thy kingdom come. Thy will be done on earth as it is in heaven." 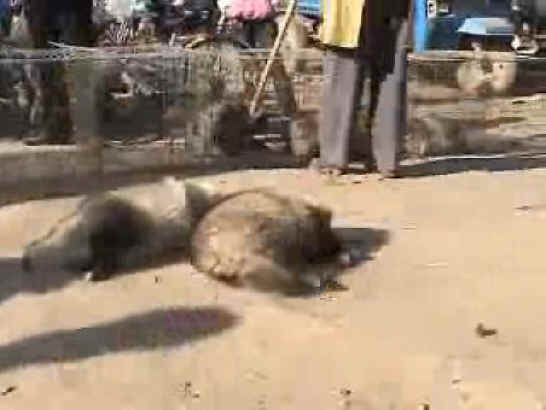 Everyone who buys and wears fur is saying, "I don't want God's kingdom to come. I don't want God's will to be done on earth. I want pain and death to continue so I can have my tortured animal skins."